Do you struggle with getting your to-do list actually, well, done? 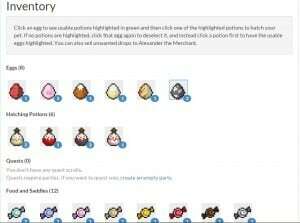 I was delighted when I found out about HabitRPG.com. It turns your boring task list into a fun little game that is complete with social interaction if you like. I finally have a fun way to get things done around the house and in my writing. I found that I was getting annoyed with myself for dying (yes, you can die and go back in levels) due to incomplete tasks and the gamer in me finally decided to show up. Now I am sure to do everything on my daily list so I won’t lose any health, XP points or gold. Silly, yes, but effective. There is a subscription version where you pay $5/month and get extra perks. I have been satisfied using the free version though for now. Maybe someday…. Hmmm…do I want to have blonde or red hair this time? First, you can sign up and create your own little avatar. Some of the features are only available to subscribers, but there is enough to work with. Once you get your profile all set up, you are ready to get started with the creation of your Tasks. The color red means I’ve gone past my intended date. Whoops. I’ve been on vacation, that’s it. 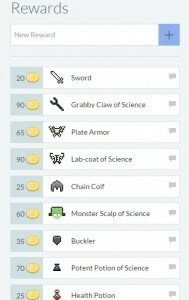 HabitRPG has four different sections on the Tasks page. You can put Habits that you want to develop, tasks to be done Daily, To-Dos (more like one-offs) and Rewards. 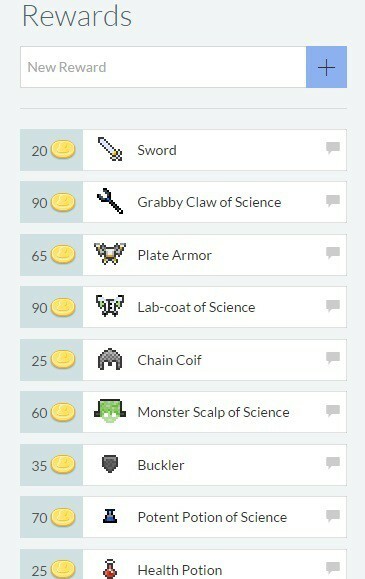 You can buy armor and potions for your character or create custom rewards if you like. Specific due dates can be used and you can make checklists for each item. This is for my Halloween costume…I still have 22 days to go! Dailies are tasks that you want to do every day or on a certain day of the week. You can edit it to say which days it will show up as needing to be done. The ones you see above in gray are ones that I have turned off at the moment so they will not count against me. You can also go stay in the Tavern to freeze your tasks for a day as needed. If you don’t do a daily, you lose XP and cash. You do get bonuses for completion streaks, huzzah! I still need to go make some habits that I want to develop like taking my vitamins. 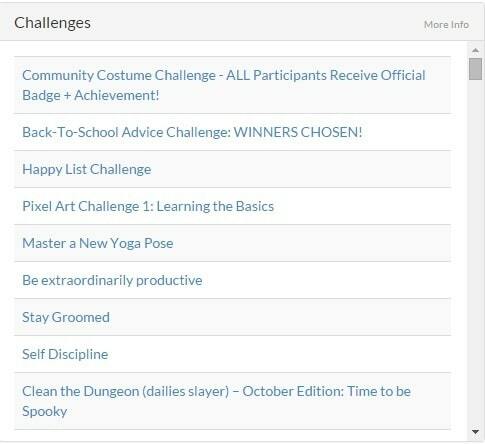 Special Halloween rewards right now! What’s a game without rewards?!? You can use your gold coins to buy items for your character or add your own reward like a new video game or trip to a convention. What should I pair with my wolf egg? 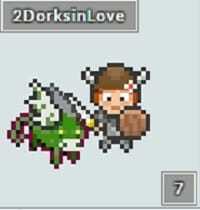 Another part of the game is collecting pets and mounts. As you complete your to-do list, there are random drops of eggs, hatching potions and food. 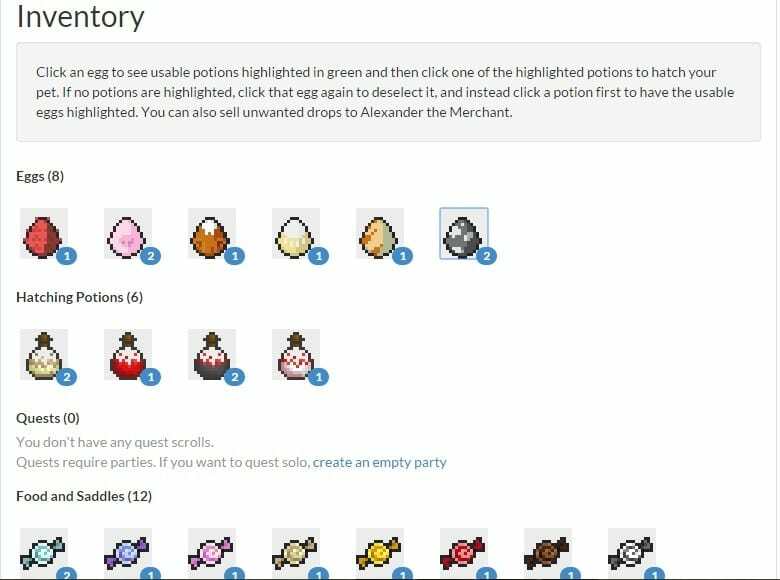 There are a plethora of different combinations possible (90 pets and 170 mounts) when you match an egg and potion. My current favorite is my zombie flying pig. There is also a market where you can buy eggs and potions with gems or sell your extras. You don’t have to do this all alone. There are social components available. You can create parties where your friends can join together and keep tabs on each other. 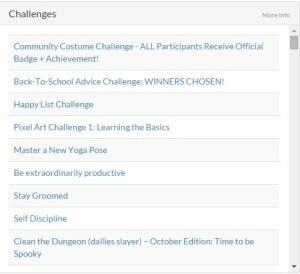 You can make quests and challenges for specific goals. There are also global challenges you can join. 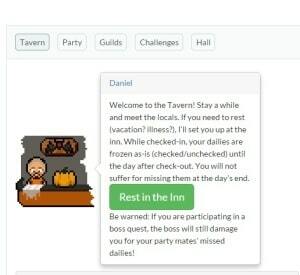 A message board and forum system allow you to find challenges and guilds. Gems can be won this way. I wonder how spooky cleaning goes? I truly am so excited to have found HabitRPG.com. They have some improvements that could be made, of course. I cannot seem to get the mobile app versions to sync with the website version since they haven’t enabled their Facebook authentification yet and the API key won’t work. More avatar options would be lovely. 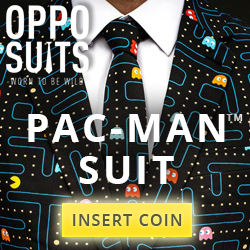 Overall, though, this has revolutionized my life. Who knew to-do lists could be so much fun? 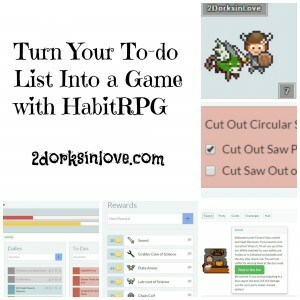 Have you used HabitRPG? What do you like the most? The least? What do I need to check out? Hi — I found your blog via Female Geek Bloggers. 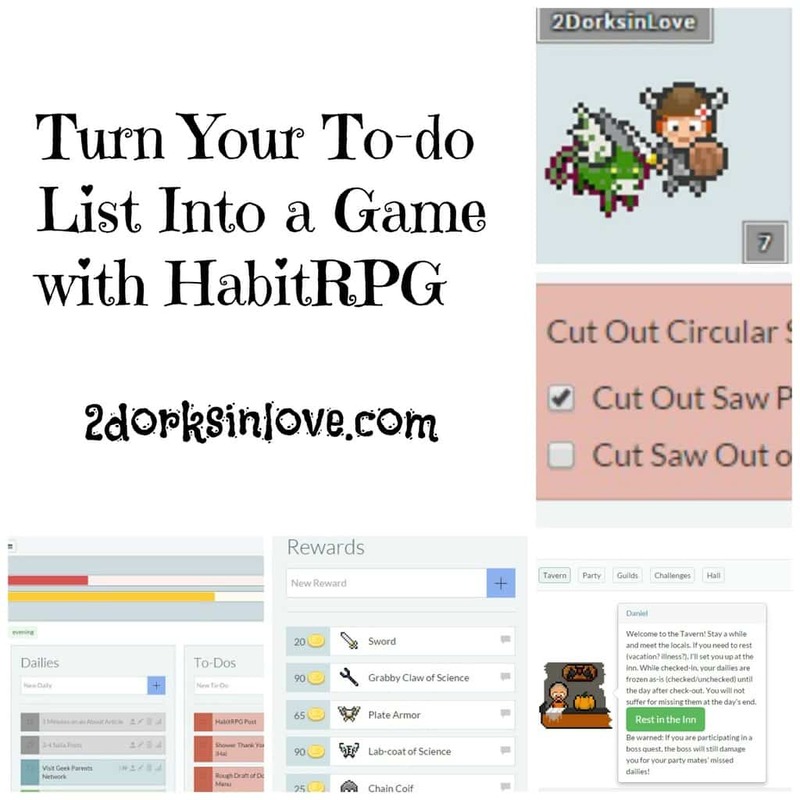 My husband and I have both lamented how hard it is to stay motivated at times to keep up with giant piles of stuff to do (especially with a toddler) — I just might have to try this HabitRPG out! Yeah I have a toddler too and know just how much you rejoice at getting ANYTHING done…hope this can help. Thanks for stopping by! Yep we definitely need this! Thanks for sharing! !